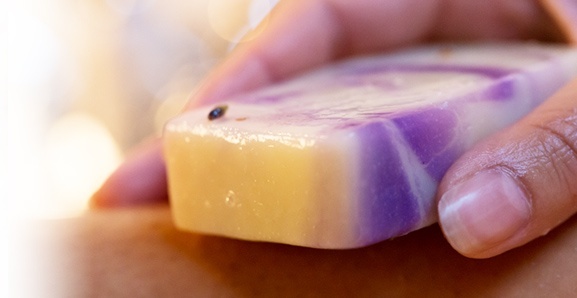 The »Milina« natural soaps are unique and hand-made following the cold process, through which we make sure that the ingredients retain their nourishing and aromatic qualities. They are made using only the highest quality of natural vegetable fats, essential oils and superior additional ingredients. The »Milina« soaps do not include any animal fat, mineral oils, artificial foaming agents, emollients or preservatives. The result of our efforts are natural, pleasant, sensitive and skin-friendly soaps which can be used for the entire body, sensitive skin and the scalp.